Let’s start by saying that most irregular periods are not serious in most cases. Of course they can be confusing and traumatic nonetheless. . Missed periods, too frequent periods, spotting, or bouts of heavy clotting and bleeding are usually caused by an underlying hormonal imbalance that is easily treated. Most women have experienced a missed period at one point or another, some with anticipation of pregnancy, or maybe because of anxiety or tension. Stress and anxiety can contribute to too frequent or missed period at anytime. Reportedly, we see women who menstrate like clockwork, while others report never having had a regular cycle. One thing is a given, however: shifts in hormonal balance will alter whatever pattern a woman has experienced in the past. Such shifts are especially common in peri-menopause. A textbook period happens every 24-29 days, but in truth what is “regular” covers a wide range. Cycles between 23–35 days are very common. A woman may get her period only one to four times a year. Or she might have periods that occur two to three times in a month and involve spotting or extremely heavy flow. Alternatively, she may have heavy episodes of bleeding every two to three months. Irregular periods are simply what are irregular for you. In general we don’t worry if there is only a period or two that is missed in a year. A variation in frequency more than that may indicate missed period or two over the course of a year may indicate to us the beginning of perimenopause or a disruption of the natural chain of hormonal events that controls menstruation. Here are lots of factors that make irregular menstruation.  However, all such causes can obstruct the regularity of the menstrual cycle one or the other way. It is not a doubt anymore that poor diet and a drastic weight loss or weight gain may influence the hormonal levels in female’s body. A woman having bulimia and anorexia is generally presented with irregular or no menstrual cycle. If a woman is undernourished or over nourished, she is more susceptible to suffer from irregular menstrual periods. Unneeded hot and spicy foods might prolong the menstrual period along with the alteration in digestive system. If the woman has it, she might also suffer from increased bleeding and severe cramps and pain during the menstrual flow. In many of cases, birth control pills are found to be the main causative factors for irregular menstruation. Woman’s body may require some time to get adjusted or getting regulated to the newer level of hormones those are supplied by the hormonal birth control pills in majority of cases. Most recent studies now totally concur with the stress, being one of the major affecting factors that give rise to irregular menstruation. If the woman is very much of a choosy type, worrying, suffering from anxiety or depression, she might miss the menstrual flow or might result with severe bleeding. The secretion of the milk also plays most essential role in menstruation. There could be irregular menstruation and lots of troubles once the woman undergoes lactation period. In most of the cases, the menstrual period disappears when there is a lactation. They are biological milestones every normal woman has to pass through. When a girl attends her first menses, it is quite obvious and natural to have troubles in first stages of menstrual flow with cramps or malaise in the body. In a same way, when a woman completes her menopause phase, there could be irregular menstruation. Symptoms start with severe bleeding. Bleeding may happen apart from the regular cycle. The gap between two menstrual cycles is maybe long or short as contrast to normal period. There could be a pain in groin, back to just above the pelvic area. Lack of interest, anorexia, insomnia etc is quite common with irregular menstruation. Sometimes women pass hot fleshes. 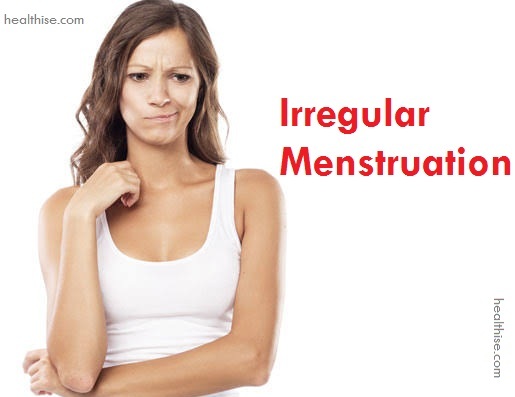 The prevention of irregular menstruation solely depends upon the causes. The root or underlying cause is to be restricted chiefly. One has to shed off extra pounds in case of obesity. Herbs such as Ashoka and Lodra may help. Hormonal insufficiency can be treated using hormonal supplements. In case of stress, anxiety and other mental problems, irregular menstruation can be tackled performing meditation and holistic exercises such as yogasanas and pranayama. Acupressure and aromatherapy may have some beneficial effects though they lack researches.